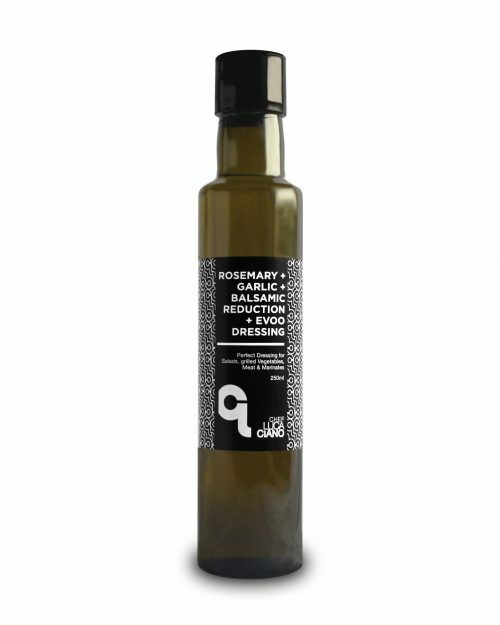 A beautiful harmony between two special ingredients, emulsified with high quality, cold pressed, extra virgin olive oil. The white balsamic vinegar & figs are reduced to a glaze to create a delicate sweet and sharp contrast. Perfect to dress any salad, fresh and aged cheeses, meats and seafood.